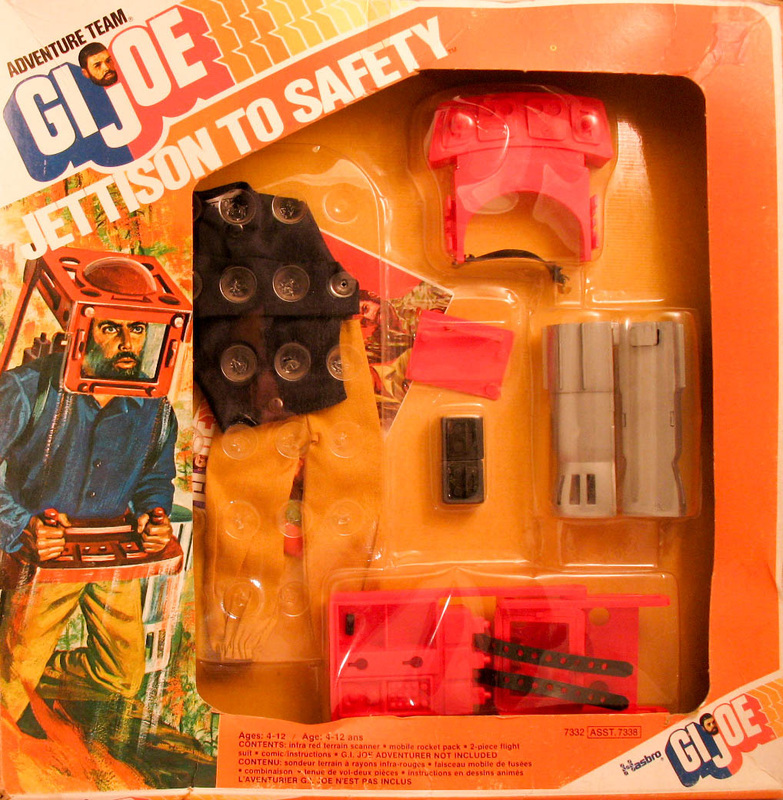 Jettison to Safety (7739-2) recast and repackaged two of the earlier accessory cards, the Rocket Pack and the Thermal Terrain Scanner. For Jettison they are molded in red with silver rockets and accompanied with a lightweight polyester version of the uniform first sold a the Secret Mission set. Note that the boxed set below is the Canadian version, different only in that it includes a parts list in French as well as English.